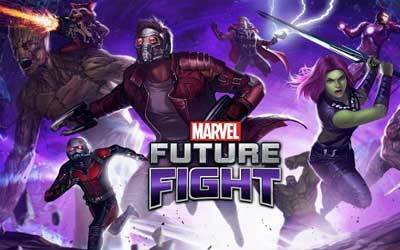 Previous version MARVEL Future Fight 3.0.0 apk for Android will help you to downgrade or install older app easily. This is one of the best Role Playing apps. The game allows players to build up their team. They can collect them and build the team that is consist of the good guys and the bad guys. After building a team, this team will work onto inter dimensional threat. There are many characters available to select. Even there is Ultron who is a villain the Avenger. During the game, you will face a simple interface. There are 2 control schemes available too. You can move the character by tapping the screen or attacking the enemies by tapping to the target. Each character have a special move. You can activate it by tapping on the onscreen buttons. MARVEL Future Fight is about playing as a team. Players will through the short levels with 3 super heroes or super villains. And interestingly, you can switch between 3 heroes any time. At the launch, there will be about 30 characters to collect. Players can unlock the characters by getting the right number of Biometrics of that character. It makes the game not just fun but also addictive. You cannot stop it before unlocking the entire characters. Raccoon inspired by the film! Suit up with a special new Sharon Rogers uniform! Recruit new agents: Mantis, Agent Venom, and Whiplash. Discover GotG Vol. 2 themed stages and collect tokens or Tier-2 Advancement Tickets! Compete against other alliances in Alliance Conquests. Experience thrilling battles against stronger World Bosses in World Boss Ultimate! This is an amazing game. Netmarble did a great job, there is lot of depth and value in playing Future Fight.